Saturn Repair In Covina, CA | TL Motors Inc. 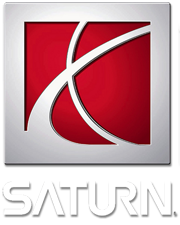 The Saturn Corporation automobile brand was established in 1985 as a subsidiary of General Motors in response to the success of Japanese automobile imports in the United States. The company marketed itself as a “different kind of car company,” and operated somewhat independently from its parent company for a time.. TL Motors can handle any size Saturn repair. We are Saturn repair certified and your number one choice for Saturn repair in Covina California. So regardless if its a Saturn Astra or a Saturn Sky Motors will quickly get you on you way. From a Saturn Aura brake repair to a Saturn Vue timing Belt replacement. Our Saturn repair and service shop is located in Covina, CA. We also proudly serve the following areas: Azusa, Baldwin Park, Duarte, Glendora , La Puente, Monrovia, San Dimas, Walnut, and West Covina. and surrounding areas. No matter what model Saturn you drive our certified Saturn mechanics can repair your vehicle to it’s original factory standards. Saturn Astra, Saturn Aura, Saturn Outlook, Saturn Sky, Saturn Vue and more. Bring your Saturn to TL Motors for a quality Oil Change, Full 62 Point Inspection or Brake Repair Today!